One Punch Man Season Two trailer reveals new title song by JAM Project!! Jashin-chan and Yurine are back for more hijinks and attempted murder! 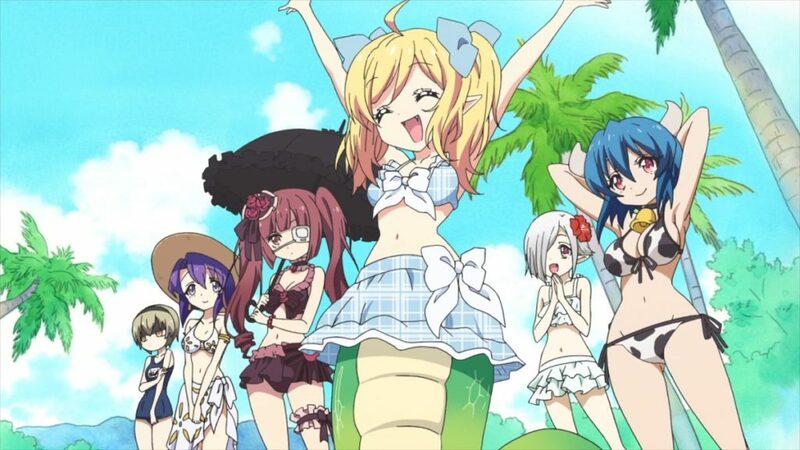 Dropkick on my Devil was approved for a second season by the staff at Nomad on the grounds that the DVD release of the series sells more than 2,000 copies. Needless to say, that goal has been met and the staff will be returning to bring us more murderous comedic hijinks from Jashin-chan and Yurine. The original cast will also be returning as well. Newcomers Nanami Yamashita and Minami Tanaka join the cast as Kyon-Kyon and Oneechan (Kyon-Kyon’s older sister) respectively. Dropkick on my Devil’s YouTube channel posted a message from both actresses. The original comedy manga by Yukiwo centers on Yurine Hanazono, a college student who summons Jashin-chan, a demon from the underworld. Now they must live together in a run-down apartment in Tokyo’s Jinbōchō district. If Yurine dies, Jashin-chan gets to go back to the underworld, so she constantly plots to kill Yurine. The anime adaption premiered in July 2018 and is streamed exclusively on Amazon Prime Video both inside and outside of Japan. The final bonus episode aired in October 2018.